Buddha’s birthday is celebrated on different days depending on the country that celebrates it. Buddha’s birthday in Korea falls on the eighth day of the fourth Lunar month. This means that the actual date of the holiday changes from year to year. In 2016 it falls on May 14th (which, to the disappointment of workers across the country, happens to be a Saturday), in 2017 it falls on May 3rd, and in 2018 it falls on May 22nd. 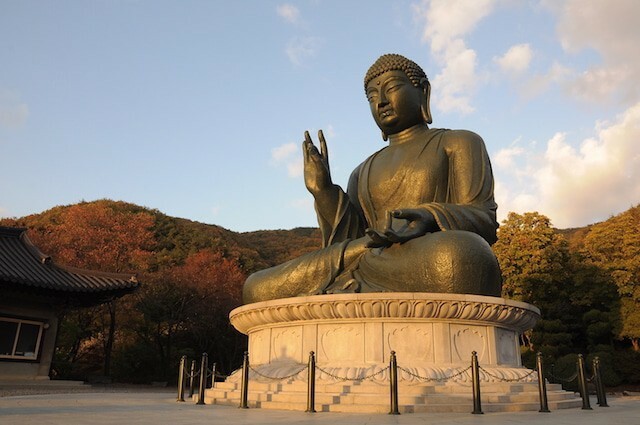 The Korean word for Buddha’s birthday is 석가 탄신일 (seokga tanshinil), although it is sometimes also known as 부처님 오신 날 (bucheonim oshin nal) which translates roughly as ‘the day when Buddha came’. 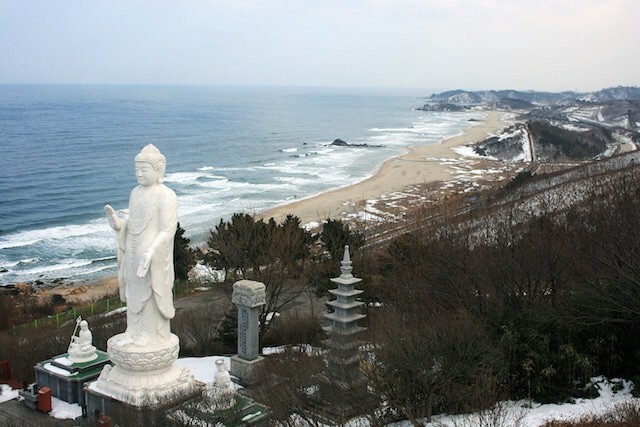 Buddhism is, along with Christianity, one of the two main religions of South Korea. As a result, there are temples all around the country where you can visit to learn more about the religion. It is also possible to do ‘temple stays’ where you can stay overnight at the temple and try to follow the routine of the monks who live there. Be warned though, these monks are early risers. If you like sleeping-in late then a ‘temple stay’ may not be for you! Buddhism arrived in Korea in the fourth century and quickly spread. However, during the Joseon dynasty it was heavily suppressed, with the Joseon dynasty favoring Confucianism over Buddhism. The word for Buddhism is 불교 (bulgyo) in Korean. Buddhists in Korea can visit temples and buy incense (향 [hyang]) which they can burn while meditating. It is also possible to pay monks to pray for you. Some people pay monks to pay for a set period of time for the health of their loved ones, or for their loved ones to do well on important exams such as the university entrance examination. 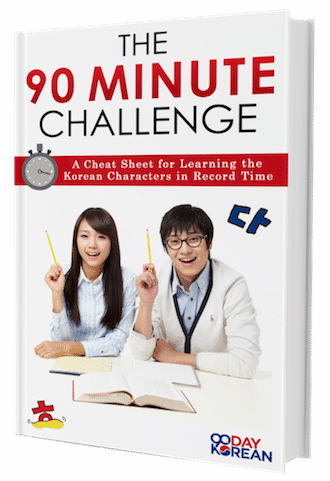 This test is known as 수능 (suneung) in Korean. The most well-known Buddhist temples in Korea include 불국사 (bulguksa) in Gyeongju, which is one of the most impressive temples in Korea; and 해인사 (haeinsa) in Hapcheon, home to the Triptaka Koreana printing blocks. Both of these temples are in Gyeongsang province in the south-east of the country. 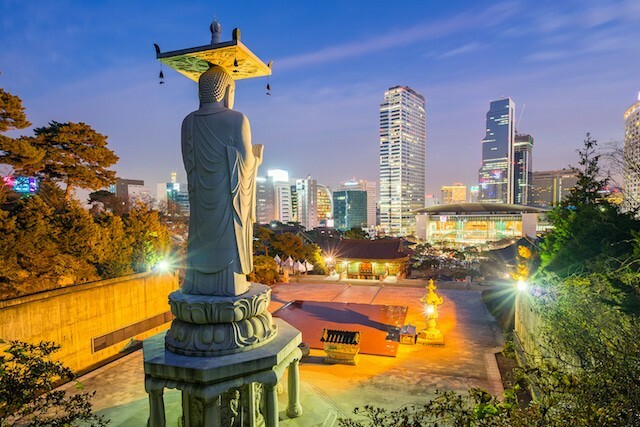 In Seoul there are two main temples: 봉은사 (bongeunsa), which is located near COEX in Gangnam; and 조계사 (jogyesa), which is in Insadong in central Seoul. Even if you are not religious, a visit to one of these temples can help relax you and relieve your stress. It is hard not to be impressed by the calmness inside the temples compared to the hustle and bustle of the city just a short distance away. If you are in Busan, then just a short bus ride from Haeundae is the 해동 용궁사 (haedong yonggungsa) temple. It is built on some small cliffs by the sea, giving it a spectacular location and views that are well worth the visit. 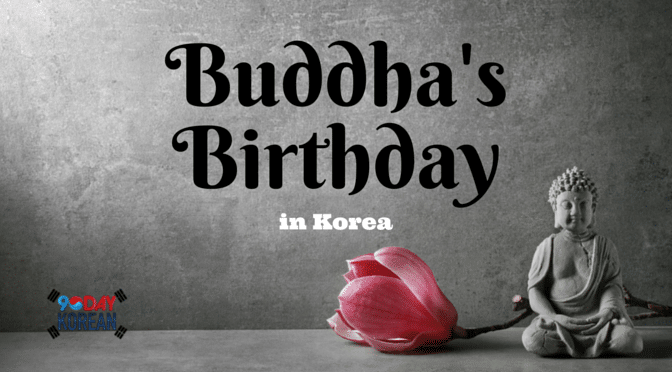 Most of the events for Buddha’s birthday in Korea happen in the week running up to Buddha’s birthday, rather than on the day itself. The main event is the lotus lantern festival. In the weeks running up to Buddha’s birthday, paper lanterns will start appearing all over Seoul. At this time, it is possible to see lanterns around Cheongyecheon stream, Insadong, and Jogyesa temple in central Seoul. 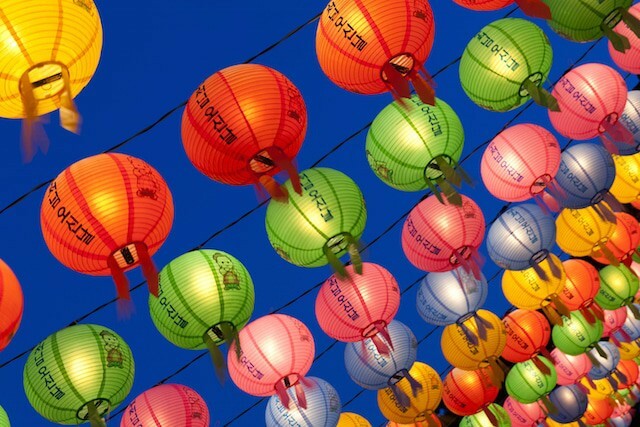 The highlight of the lotus lantern festival is a lantern parade through central Seoul. This parade usually takes place on the weekend before Buddha’s birthday, and in 2016 will take place on May 7th. 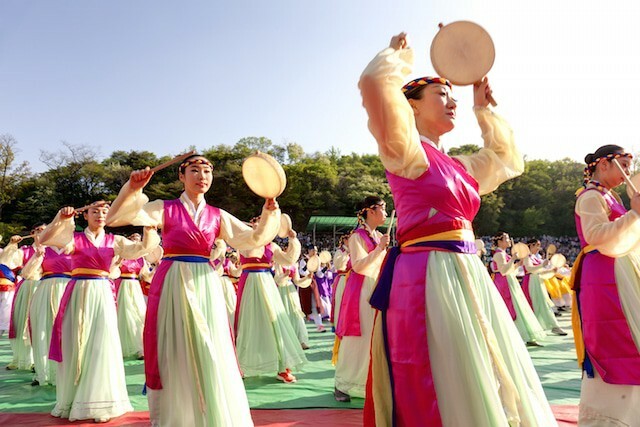 The participants in the parade first head to Dongguk University, which is one of the main Buddhist universities in Korea. They watch dance performances and ceremonies in the afternoon before beginning the lantern parade. The parade starts at Dongguk University, and works its way along Jongro, the main street of central Seoul, before finishing at Jogyesa temple. It takes place in the early evening, but people start gathering along Jongro in the late afternoon in order to get a good view of the parade. People wishing to view the parade should use the subway to arrive as Jongno gets closed to traffic in order to allow the parade to pass along it. Taking a subway to either Jonggak, Jongno 3-ga, or Jongno 5-ga subway stations will allow you to be on the parade route upon exiting the station. If you arrive early then there are plenty of things to do around Jonggak subway station, but Jongno 5-ga may be less crowded and thus better suited for any latecomers hoping to get a good view. The parade usually starts at seven in the evening and goes on until around nine-thirty. The parade’s participants range from solemn looking monks to excitable university students, and the number of participants is in the thousands, making it seem as if the parade is never ending. As well as individuals carrying lanterns, there are also some larger set piece parade floats, with large illuminated paper drums, fish, flowers, and even fire breathing dragons! For visitors to Seoul in early May, the lantern parade is something that you have got to see. The day after the lantern parade, there are a few other activities and cultural performances that take place on the streets around Insadong. If you are around the area at that time then these could also be of interest. Although Korea has lots of festivals, the Lantern festival, located in central Seoul is very accessible. The lanterns also make for great photos, and will most likely be a completely new experience for visitors from outside of East Asia. 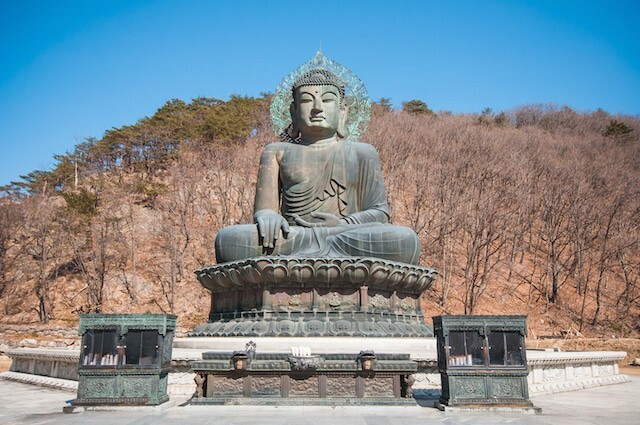 Buddhism, while only practiced by a few people, is still a major part of life in Korea. 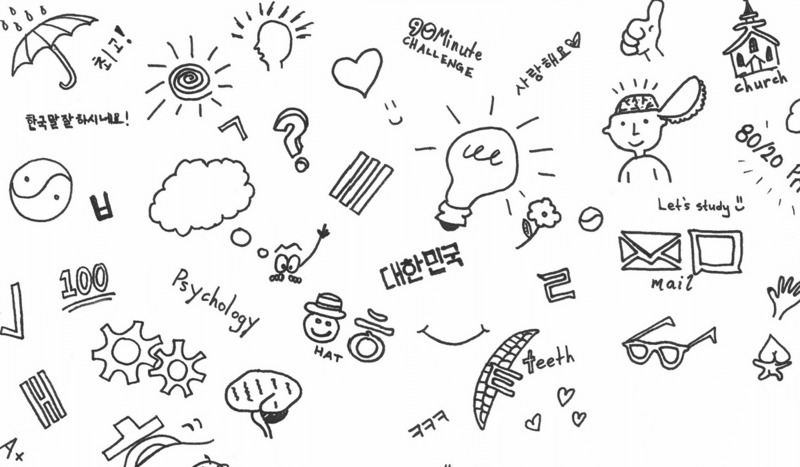 Why not use Buddha’s birthday in Korea as an excuse to learn more about this religion?